Snohetta’s Le Monde headquarters plan offers an open design and public space to build a bridge between the paper and its readers. 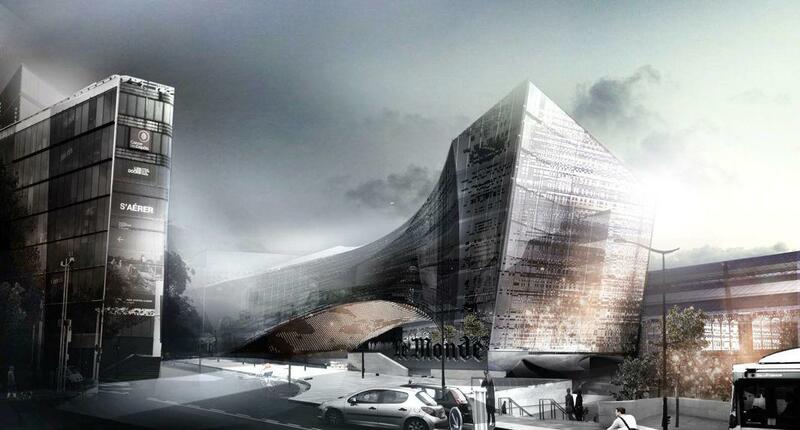 Designed by Snohetta, the new Le Monde headquarters will emphasize the intimate relationship between the paper and its readers with open, accessible architecture as seen in this rendering. 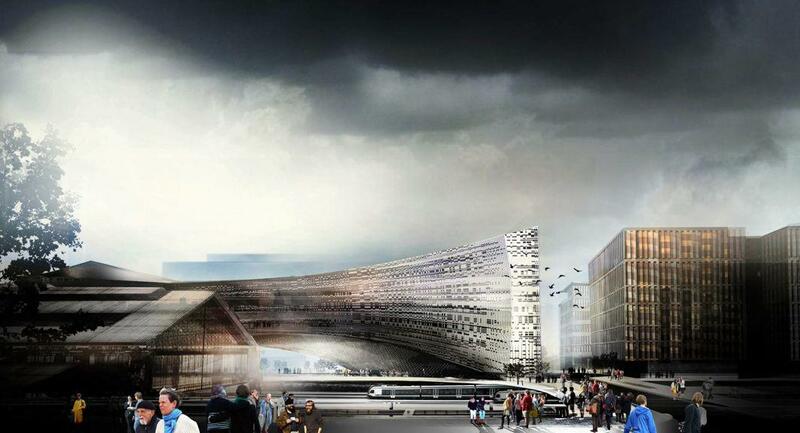 Le Monde has announced plans to build a new headquarters near the Gare d’Austerlitz in the 13th arrondissement of Paris. The winning design came from Snohetta, which will build the new headquarters with local partner SRA for France’s paper of record, founded in 1944 at the request of Charles de Gaulle. Word that the Le Monde Group, which includes the paper and several magazines, is planning to build an ambitious, futuristic headquarters is optimistic news for the business of publishing. That the news was unveiled a week after the unprecedented attacks at the Charlie Hebdo offices in Paris makes its design all the more worth considering. The building, Snohetta’s first Paris project, aims to act as a bridge between the publication and its readers with public spaces that include a visitor center, auditorium, café, seating, and green areas built to welcome the public and serve as a stage for public gatherings. LED-lit vaulted ceilings over the public plaza “represent the transient flow of information like clouds or stars moving across the sky,” according to Snohetta. A pixelated matrix of glass with varying degrees of transparency, translucency, and opacity create a homogenous look from a distance, revealing “a greater level of complexity as the view approaches—like headlines and detailed content in a news story,” according to the designers. I asked the designers if the recent attacks on Charlie Hebdo meant that the design would be revised in light of security concerns.